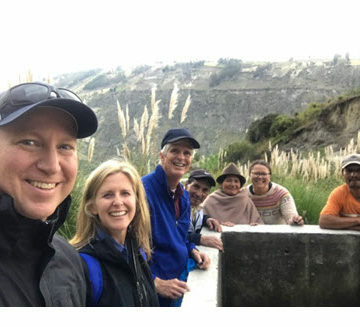 ASCE President Kristina Swallow and her husband, David, volunteered for an Engineers Without Borders project in Ecuador as part of the presidential trip. 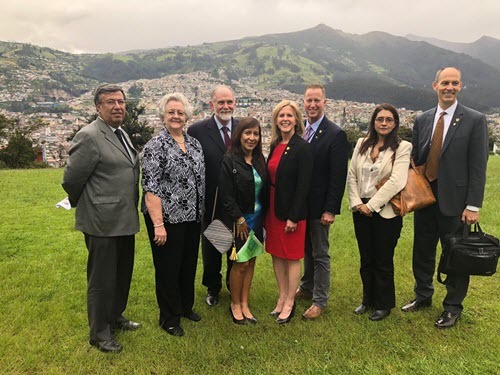 ASCE President Kristina Swallow, ASCE Executive Director Tom Smith, and ASCE’s Director of Global Programs Meggan Maughan-Brown recently travelled to three countries in South America – Colombia, Peru, and Ecuador – as part of the annual presidential trip. 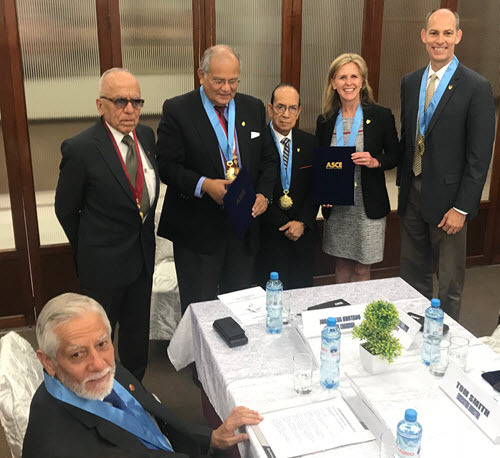 The agenda included everything from a Region 10 Governors meeting to leadership training sessions, the signing of agreements of cooperation with like-minded partners, and even Engineers Without Borders work. The trip began in Bogota, Colombia, meeting with the leadership of Sociedad Colombiana de Ingenieros, who briefed Swallow on the state of the profession in Colombia. The groups discussed areas where ASCE, including the Colombia Section, could collaborate with SCI to help address current challenges. 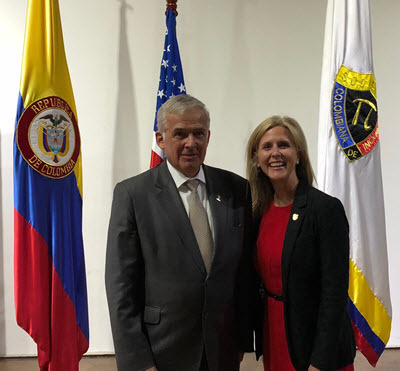 ASCE President Kristina Swallow with Argelino Durán Ariza, presidente, Sociedad Colombiana de Ingenieros. Officials from ASCE and SCI met to work on potential collaborations in the future. Members of the Colombia Section discussed how they’re trying to implement sustainability amid the country’s environmental issues. Bogota also was the scene of a Region 10 Governors meeting and leadership training session. The presidential trip also included the Region 10 Governors Meeting. 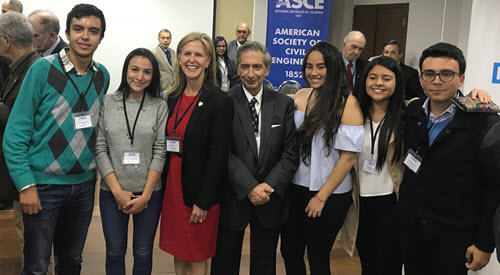 Swallow meets with ASCE student members in Bogota. 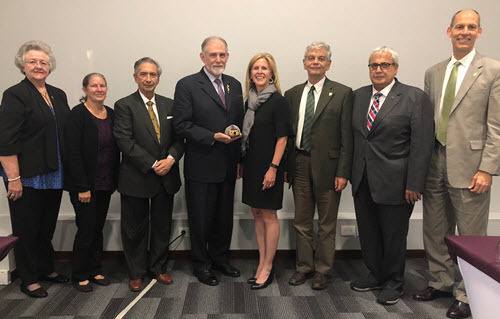 The trip continued in Lima, Peru, where ASCE renewed an agreement of cooperation with the Colegio de Ingenieros del Perú, and engaged in discussions about collaboration. 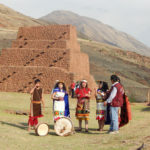 Swallow also helped conduct a leadership training seminar for ASCE members in the Peru Group. 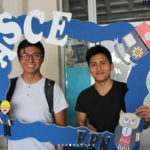 ASCE renewed an agreement of cooperation with the Colegio de Ingenieros del Perú. 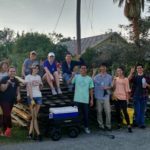 The ASCE leadership training classes were well-attended throughout the presidential trip. 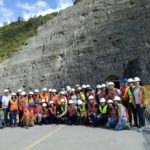 Up next was Quito, Ecuador, and another set of bond-building activities, including a Spanish-language Dream Big screening, with the leaders and members of the Colegio de Ingenieros Civiles de Pichincha. Ecuador provided a beautiful setting for a meeting of leadership. 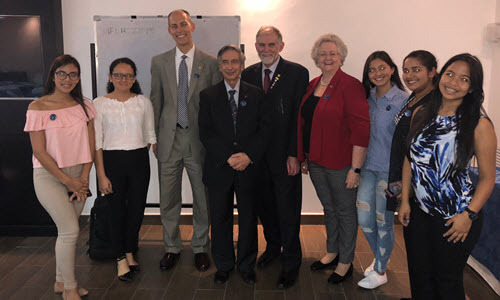 ASCE leadership also met with student members in Guayaquil. 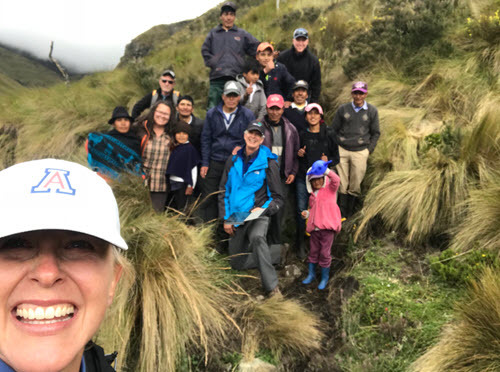 To conclude the trip, Swallow, along with her husband, David, worked on an Engineers Without Borders project in rural Ecuador.